Every photo managed to capture our wedding day so perfectly. Looking through our pictures now we have a story of the whole day, showing us things that we never realised were even happening. We have had so many people come to us and tell us the photos are the best they have seen and we feel so proud of this. It’s been amazing to show my Grandma them, who now feels she was part of the day even though she couldn’t make it. Dom and Liam were totally professional, but also utterly delightful. They managed to be completely part of things but really discreet at the same time. They completely got a sense of what we wanted and created it perfectly. I am so grateful to have had them there on the day, I will really really treasure their work forever. We absolutely love the work of Dom & Liam. 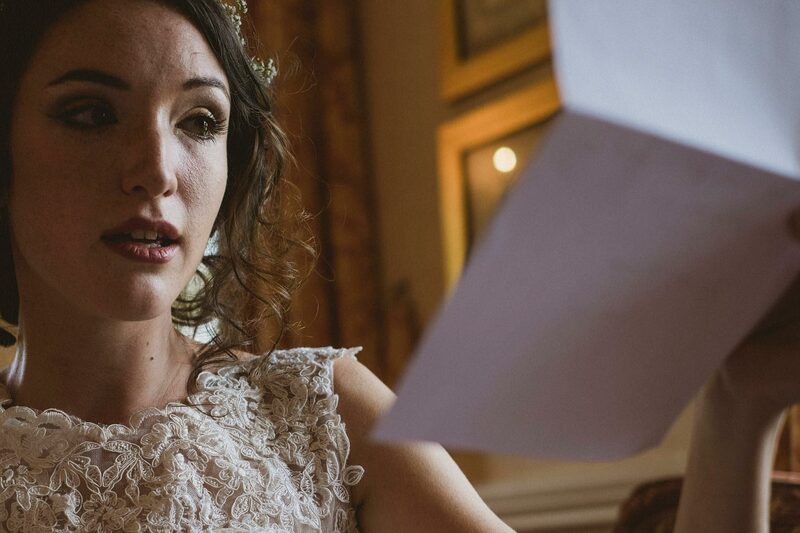 They photographed our wedding from start to finish at Morden Hall (London) in July this year. 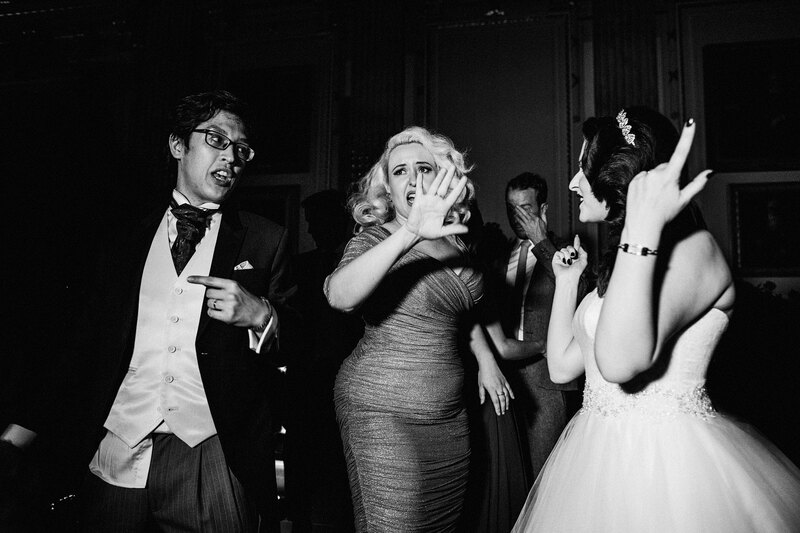 We have had so many comments on our wedding photos – people just absolutely love the style. They managed to capture all the happiness, joy and laughter of the entire day. 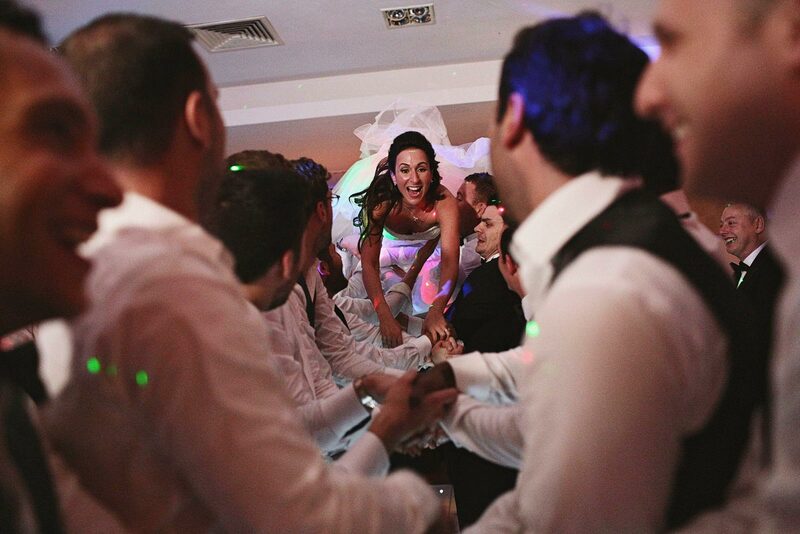 Not only that but they made us and all our guests feel so comfortable – they literally blended in and worked their magic. We highly recommend their work – you won’t regret booking them! Many thanks Dom & Liam. Dom and Liam are fantastic photographers. Not only do they take stunning photographs but they are also a very intuitive pair. 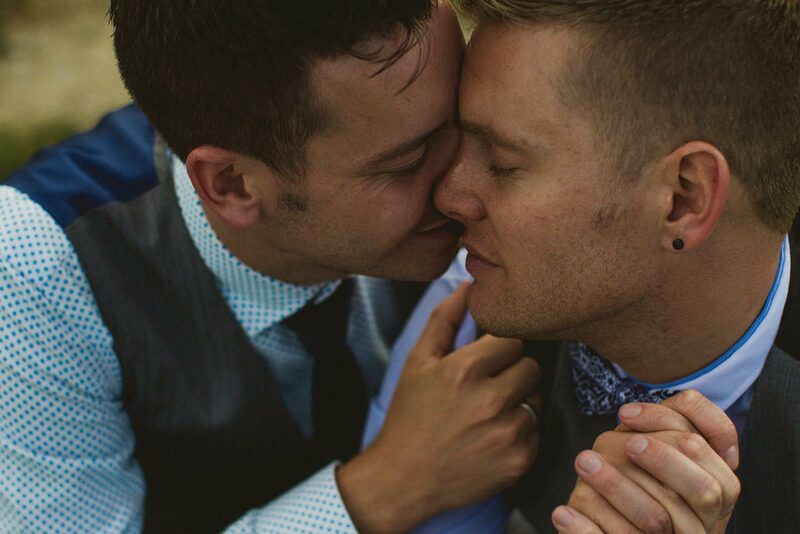 They have the ability to read and understand couples perfectly so that by the day of the wedding they already know what shots will work and what will suit the couple best. They really capture the spirit of those they’re photographing through a combination of beautifully classical shots as well as stunningly artistic photographs. My husband and I can’t recommend Dom and Liam highly enough. We are so grateful to them for making our special day even more special with gorgeous and memorable photos we’ll be proud to show our children and our children’s children. 5 stars isn’t nearly enough, let’s crank this up to 11! 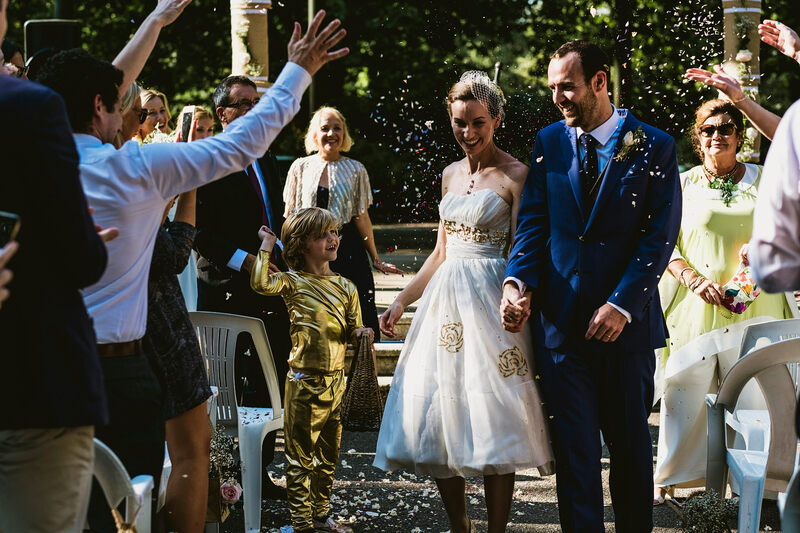 We used York Place Studios as our wedding photographers in August last year, and we couldn’t be happier! From the get go we knew that getting the right photographer was really important for us, we really wanted something natural, that captured all the tiny moments, and that wasn’t at all forced (neither of us are particularly comfortable with having our photo taken). We were quite apprehensive about making sure we chose the right photographer for us and Dom & Liam couldn’t have been more accommodating, we arranged to meet up to discuss the day and we instantly felt at ease, all of our questions were answered and we loved the list of questions that Dom & Liam had prepared for us too, as some of them hadn’t even crossed our mind. All of our communication with Dom & Liam during the lead up to the wedding was great, and we always felt really looked after. On the day Dom & Liam kept us both very calm and made us feel so comfortable! They really did blend into the background, and all of our guests commented on how unobtrusive they were (and how lovely). They arrived first thing in the morning, and stayed right up until the very end! Which was amazing!! Everything we had asked for, they were on it, so we really could just relax and enjoy our day confident that they were capturing it all. We didn’t have to wait long before we received the slideshow of our day, & it was amazing! We absolutely loved it! Dom & Liam captured the day beautifully, we cry with laughter every time we watch it. They captured all the moments we missed, managed to catch the feeling of the day, and to catch a true sense of all our friends and family. Every time we look at our photos, we notice something different, remember something different, the photos really do tell the story of our day just the way we wanted them to! They are perfect! Thank you so much Dom & Liam! We really could not be happier with our photos! Thank you for creating the best collection of memories for us!! We honestly cannot properly put into words how amazing our photographers were. Dom and Liam from York Place Studios were beyond incredible. As my husband and I are both creative, and I myself am a filmmaker and photographer, getting the right photographers for our wedding was the only thing we were really picky about. And so after searching high and low, we found York Place Studios and fell in love. Then, from the moment we met them, we knew they were right. Not only do they have unrivalled technical talent with an amazing eye for things and a natural gift for taking beautiful photos using natural light, but they also have an uncanny knack for capturing the little moments: small but wonderful parts of the day that would usually go unnoticed yet which they manage to capture perfectly. From someone pulling a hilarious face, to a fleeting, beautiful moment between my father and I, they caught the parts most special to us. 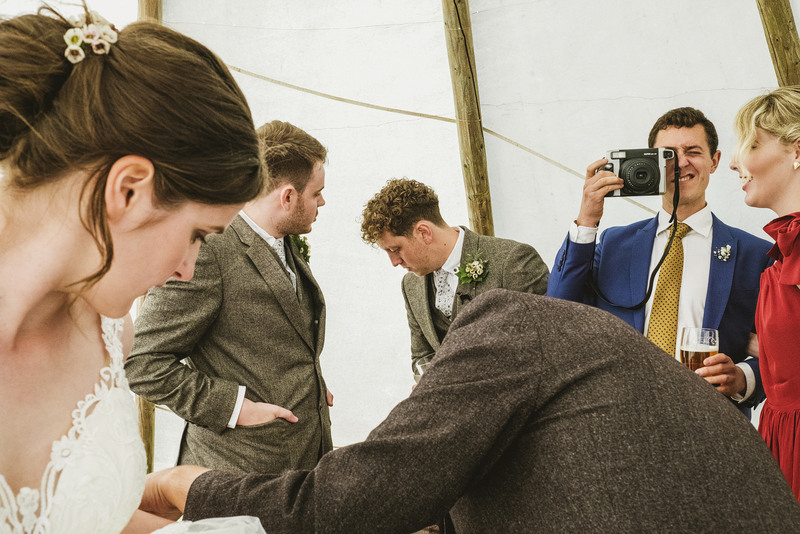 Dom and Liam’s unobtrusive approach was also so welcome – I was told many times after how lovely it was to have photographers who were discreet but also so kind and friendly! Everyone loved them, and they worked all day to make sure they didn’t miss a thing. 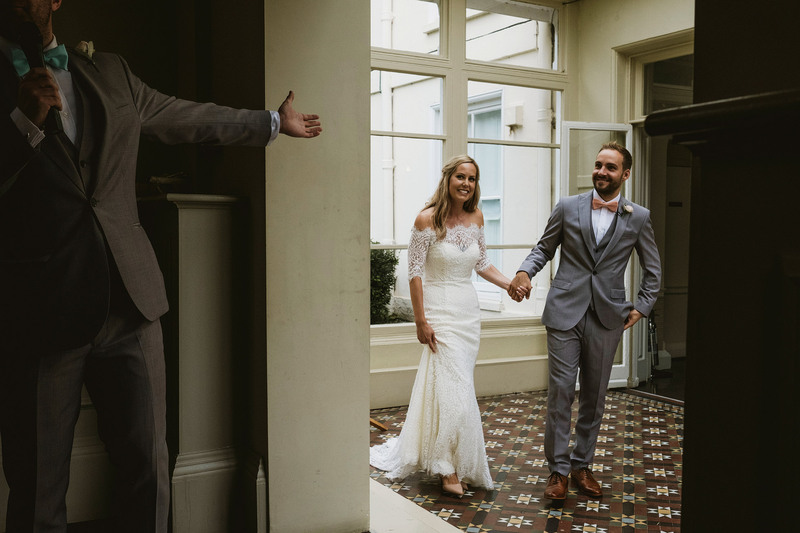 Needless to say, we were over the moon with our pictures and I think the best testament is that they are so accurate in portraying the day exactly as we remember it, and that’s what we were after. We seriously cannot recommend Dom and Liam enough! Thank you for giving us photos to treasure forever! The photos are incredible, every single one of them looks fantastic. You’ve perfectly captured the mood of the day and everyone there. They’ve been getting many many compliments from friends & family! We particularly love the ones of us from above during the ceremony, the arty ones throughout the day taken in mirrors and through doors etc, and of course the fisheye shots in the rave cave! Amazing! Thanks again so much for staying so late, you really went the extra mile and it has really made the difference to capturing the day. Booking you guys was the single best decision we made around the whole wedding – everything from your customer service to your end product is absolutely flawless and I will be recommending you to people without hesitation for years to come! I also think you were the best value and could easily justify charging more given that you work as a genuine pair, the quality & coverage you both achieve is exceptional. Choosing York Place Studios as our wedding photographers was one of the best decisions we have ever made. From the moment we met with Dominique and Liam it became apparent that we had struck the jackpot. They are fantastic photographers and fantastic people, with a unique ability to make any couple feel relaxed and totally at ease with being themselves in front of the camera. Their personable approach and skilled eye for a photo means that their work is wonderfully natural and they have an absolute knack of capturing ‘moments’ and a whole array of emotions – from love and tenderness to fun and laughter. All of this is achieved whilst being so discreet that you tend to forget that they are even there! I can honestly say that I will look back and cherish the photos they have taken for the rest of my life. They are, quite simply, perfect. Thank you both for making our day so special and helping us to relive it over and over again for the rest of our lives. Our experience with York Place Studios has been absolutely incredible. Right from the word go, Dom and Liam were incredibly professional and captured our day just perfectly. We loved them being there on the day and the after service has completely exceeded our expectations. Receiving a slideshow of images just days after the wedding was amazing, followed by a link to all our images and then finally a beautifully presented gift box with a USB containing all our images to share with friends and family and a handpicked selection of prints for us to frame. Guys, you were just brilliant and we would recommend you to everyone! Capturing moments like you guys do in photos is testament to how good you all are at your job!! We was blown away at the way you have captured the day in all the faces you see and their reactions to the different aspects of the day! We have had so many positive comments from everyone who sees them and they all say they are some of the best wedding pictures they have ever seen! Even my 89 year old Grandma!! The way you put Lisa and I at ease straight from the start allowed us both to relax and enjoy our big day the way we did. We knew we were on to a winner through the excellent communication we had with you and any questions big or small were answered with ease. It was simply perfect! We have looked at all the photos hundreds of times!!!!!!!! and they simply get better every time we look at them. The preview slideshow brings a tear to our eyes every time! Even the music fits perfectly. Finally photographers who live in the 21st century and strive towards a modern aspect of catching the day rather than the old boring traditional photos you still see today!! It brought the fun factor to the day rather than the tedious bore of photos here and there. Yes, we had the few traditional shots for the family but the way you work adds an aspect to the day that keeps the memories alive and simply put, we have the memories to relive forever! The best in the business! !